Alstroemeria, also known as Peruvian Lily or Lily of the Incas, resembles a miniature lily, with clusters of trumpet-shaped flowers at the end of 4-6 short pedicels (the stems which attach a single flower to the inflorescence). The main stems of alstroemeria can be 2-3 feet long. They come in a range of colors: white, apricot, yellow, orange, pink, red, lavender, purple, mauve, salmon, and bi-color. 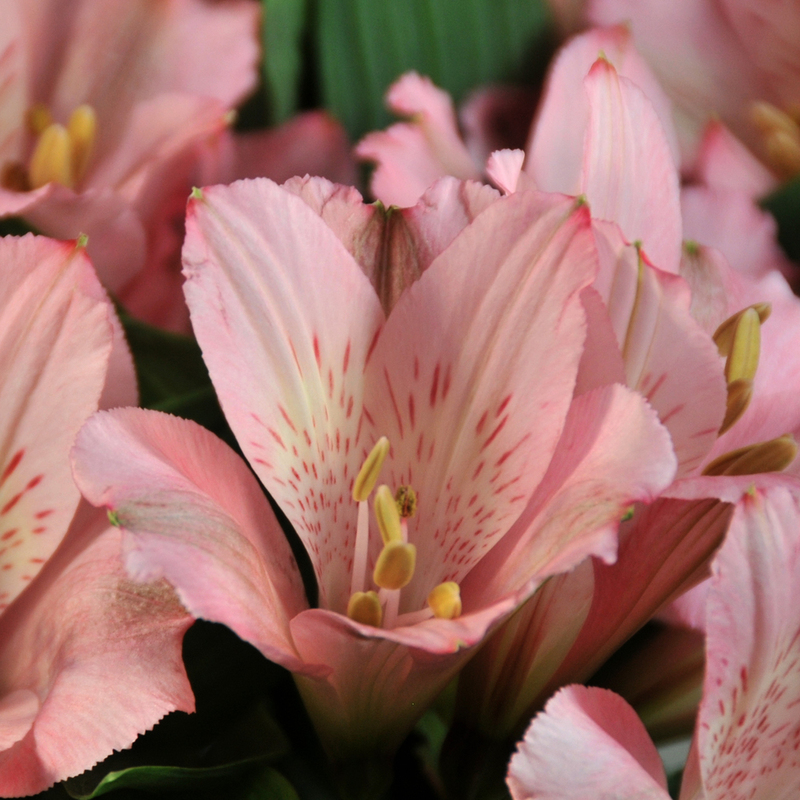 Alstroemeria symbolizes friendship and devotion. 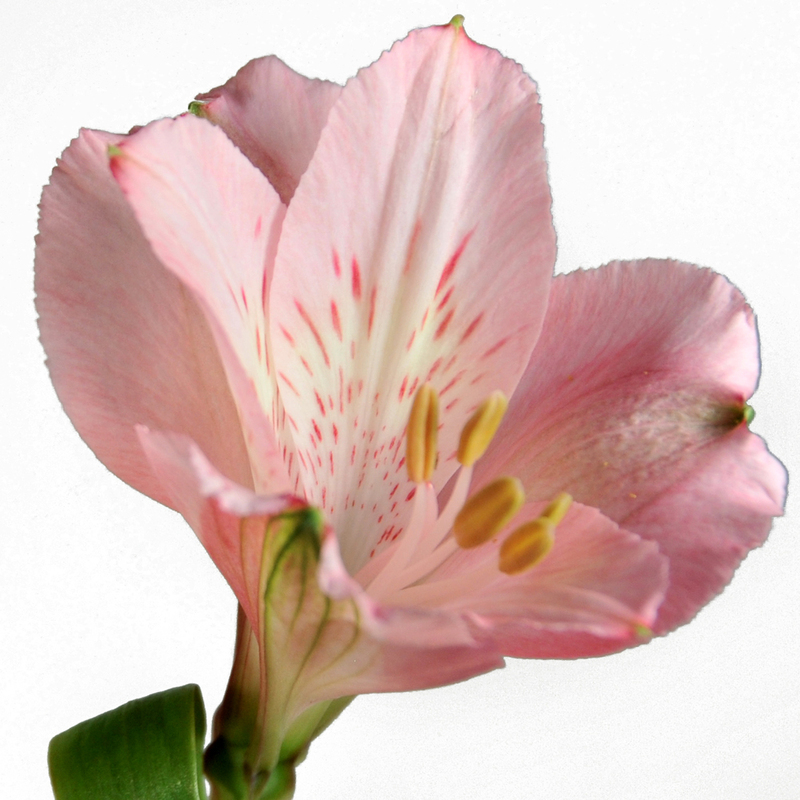 ORIGIN: Alstroemeria is native to South America, specifically the Andes of Peru and Bolivia. They were named after Baron Claus von Alstromer, a Swedish Baron who collected seeds from them in 1753. CARE & HANDLING: Remove all foliage that will be sitting below the water line. Some leaves must be present for proper water uptake. Cut stems with a clean, sharp knife and place in a clean container with room-temperature water. Keep in cool location out of direct sunlight and drafts. Replenish water as needed.